Good news for Skeena salmon threatened by Petronas. Or is it? In August, federal fisheries minister Dominic LeBlanc announced a renewed commitment to acting on the Cohen Commission’s recommendations, as well as the government’s 2005 Wild Salmon Policy. He also confirmed that Ottawa will restore protections to salmon habitat that were removed by the previous government. 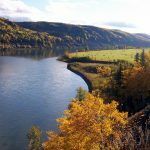 On the surface, this sounds like good news for B.C.’s wild salmon, including the Skeena population that is threatened by the Petronas liquefied fracked gas plant proposal. The devil is in the details—and LeBlanc confirmed this by revealing the government would take time to consult on how it would restore protections to habitat. It could be years before the resulting legislative and regulatory changes come into effect. And who knows how strong the protections will end up being? And human activities are to be regulated to avoid harms to fish habitat and maintain ecosystem integrity. In any sane world, Ottawa’s Wild Salmon Policy would make the Petronas proposal a non-starter. The plant would be right in the Skeena River estuary, which acts as a nursery for up to a billion young salmon during their migration to sea. There is an extremely high risk that destroying this critical habitat would collapse the Skeena population and the $110 million Skeena salmon economy. Few coastal areas in B.C. are more critical to the survival of the Skeena’s salmon than the Flora Bank eelgrass beds. Situated right off Lelu Island, where the Petronas plant would be built, Flora Bank offers rare and critical habitat for more than 40 populations of salmon and other species such as halibut. Lelu Island was already assessed and rejected as a development site in 1975 because this habitat is too important to risk. First Nations throughout the watershed have already gathered together in opposition to the plant by signing the Lelu Island Declaration. It’s always been clear that the right thing to do is to reject Petronas. If the federal government’s commitment to protecting wild salmon is real, it has no choice but to say no. Prime Minister Trudeau’s watershed moment is coming in the coming weeks. 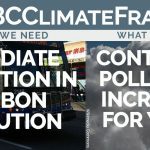 He will need to choose: the profits of a foreign multinational versus B.C.’s iconic wild Pacific salmon, the economy they support and the future livability of our climate. Featured image by Al Harvey.